Lisa Southern » 500 New Homes Are Coming to Brier Creek, NC! 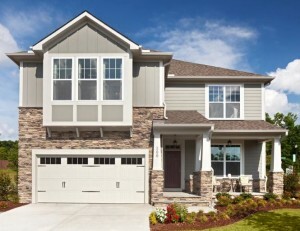 500 New Homes Are Coming to Brier Creek, NC! National Home Builder M/I Homes has closed on its acquisition of 112 acres of land near Brier Creek. The new home builder has proposed plans to build up to 500 new homes. The new neighborhood property, which as not yet been named, is adjacent to the age-restricted Carolina Arbors by Del Webb community. Both communities are located near the intersection of Leesville and Andrews Chapel roads, less than seven miles from Raleigh-Durham International Airport. M/I Homes purchased the land from four local families for a combined $10.2 million. M/I Homes has been working on securing entitlements for the property since October 2013, when it put the first piece of property under contract. Here is a look at the future site of these new homes! Lisa Southern Real Estate, located at 15 E. Martin St. Raleigh, NC 27601, specializes in real estate in the Raleigh and surrounding Triangle Area. If you are looking to buy a new home, or sell your current home, call us at 919-800-0880 to see how we can help you! Visit our Website for a list of homes for sale in Brier Creek! First Friday Art Walk in Downtown Raleigh Is Here!